In today’s vast digital space, everybody wants to be heard. And we at SnippetMEdia, the creator of the mobile app with the same name that brings together stories that matter, understands that need. That’s why we’ve come up with a new platform that’s exclusively for you: SnippetX. Whether you’re a blogger, a freelance writer, a vlogger, photographer, and more, SnippetX is your home. Last Thursday, August 10, SnippetMEdia finally unveiled its exclusive space for content creators. The private launch of SnippetX held at Yes Please at Uptown BGC in Taguig saw the gathering of popular and up-and-coming bloggers, influencers, and celebrities, who were all welcomed by the company’s founder and chairman, Kitson Kho. The event officially introduced the SnippetX platform through an audio visual presentation highlighting what SnippetMEdia does, followed by a speech/brief by Oliver Bayani, SnippetMEdia’s lead innovation officer. The SnippetX launch, which was meant to be a fun and intimate gathering, also included a small contest, where attendees had to post something about the event on Facebook, Twitter, or Instagram with the official hashtags #SnippetX and #BloggingJustGotBetter. The owners of posts with the most likes got to win major prizes such as a paddle board from Aqua Marina, GoPro Hero 5 sponsored by HMR Auctions, Huawei P10, and a mini drone. Minor prizes were also given away, which were GCs worth Php1500 each from Cards Customs. 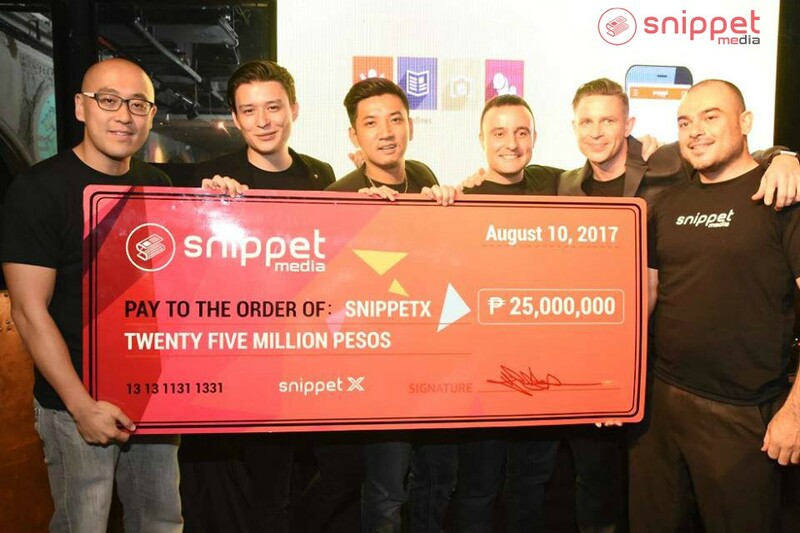 Before the end of the program, Kho made the huge revelation that SnippetMEdia is alloting P25 million to help boost the content of those who will join SnippetX. Kho likened SnippetX to a hub where content from bloggers and freelance writers can be accessed by readers through the app. With SnippetX, online content creators can maximize the impact of their stories and keep readers engaged with those they want to see and follow. “People are on their smartphones for a good number of hours every day. Being in a mobile app opens opportunities to reach a more captive and responsive audience through targeting and better recommended stories,” he explained.